Lapworth, Solihull, West Midlands, B94 6AT. 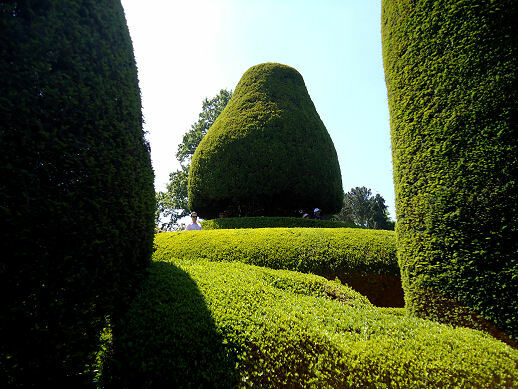 This is one of the great topiary gardens of England with it’s separate Yew Garden receiving much acclaim. Although a plan of 1723 indicates the potential positions of some of the giant specimens the majority were planted in the Nineteenth Century. Tradition has it that this area is known as the Sermon on the Mount. 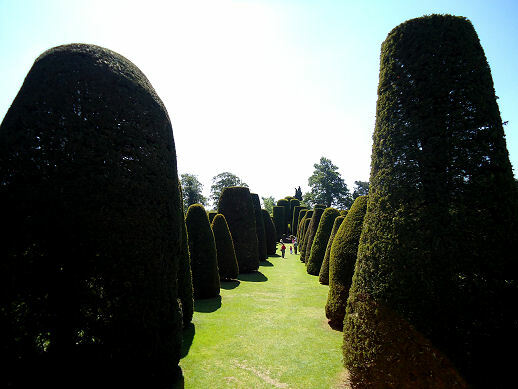 There is certainly a Mount where you walk up a spiral path surrounded by Box edging to view the assembled multitude of Yew specimens, some over 50 feet high, from the shade of a large umbrella-ed Yew. 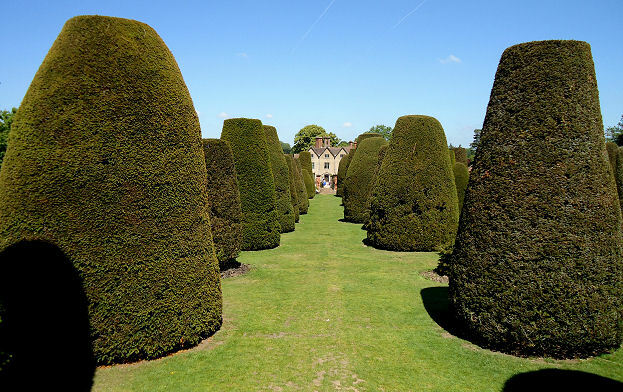 There is also a story that when asked by a visitor during the Victorian period what the garden meant, as it surely must have a meaning, a gardener is said to have quickly made up the story to keep his guest happy. 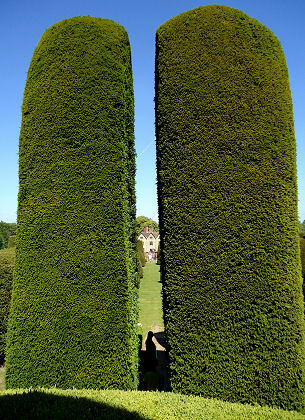 Whichever is true you’ll find more yew trees per square inch here than almost anywhere else in the country. 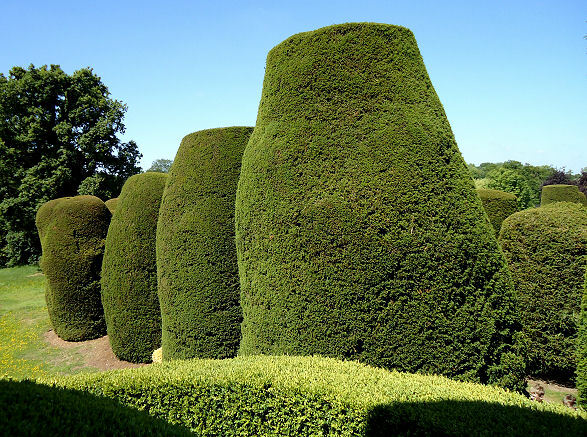 All of which is a testament to the gardener’s skill as the soil here is clay which Yew does not like when it is continually wet in the Winter. You will find that this section is closed off in particularly wet months as the many feet of visitors compacting the earth around the roots of the major specimens can have a detrimental effect on their health. Cutting of the specimens is done with a hydraulic hoist but ladders are still used for the more inaccessible parts. 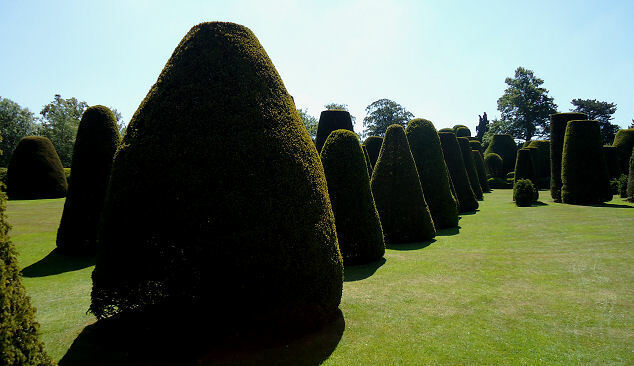 The whole edge of the garden has a massive undulating hedge of Box. 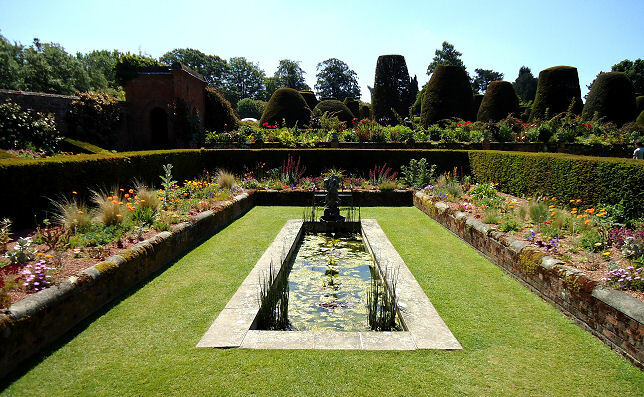 As you enter the main walled garden before arriving at the “Sermon” there is a sunken garden created in a section away to the left. This is surrounded by a high yew hedge which gives it a tranquility and provides a strong backdrop for the herbaceous borders which thrive around the edge of the pond.